Car virtual reality allows manufacturers to put prospects inside the car in any variety of ways. 360 car interiors viewed via VR have many applications – at motorshows to showcase an absent model, for dealerships to give customers the experience of being inside the vehicle, for online prospects to get a feel for the car. They can even be used as a VR mailout direct to a customer’s doorstep. 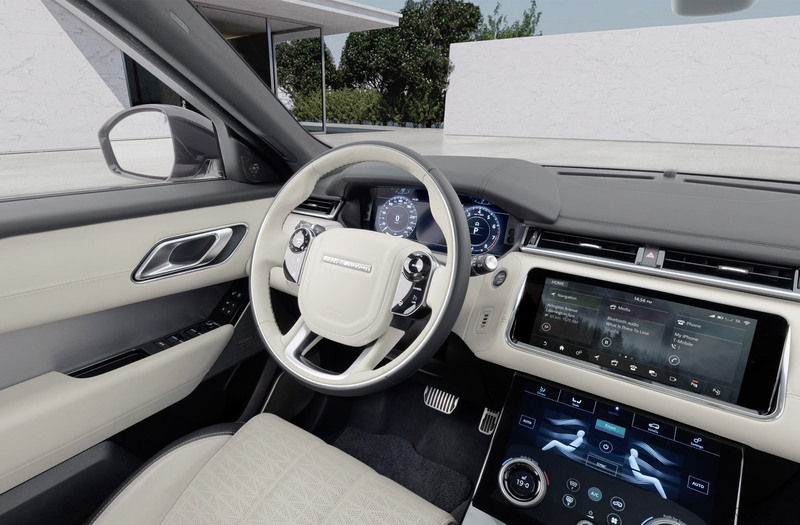 For the launch of the new Range Rover Velar we were briefed to create a 360 that would showcase the superb interior. The Velar sits between the Evoque and the Range Rover Sport. The Velar is a gorgeous luxury vehicle that deserves the best possible visuals. To find out how to get the best results from a 360 car shoot, you can read our thoughts here. To talk about commissioning us to create a car 360 for you, please call us on +44 (0) 20 360 30231 or contact us via this form.